Flickr added support for “Open Street Map (OSM),” the wiki-like mapping service that allows users to create and edit maps. Starting today, photos that are tagged with an OpenStreetMap node ID will include a link to OpenStreetMap (OSM) right underneath the photo. OSM assigns a random number to objects on its maps and Flickr can now read this number and also extract additional data about places from the OSM database. 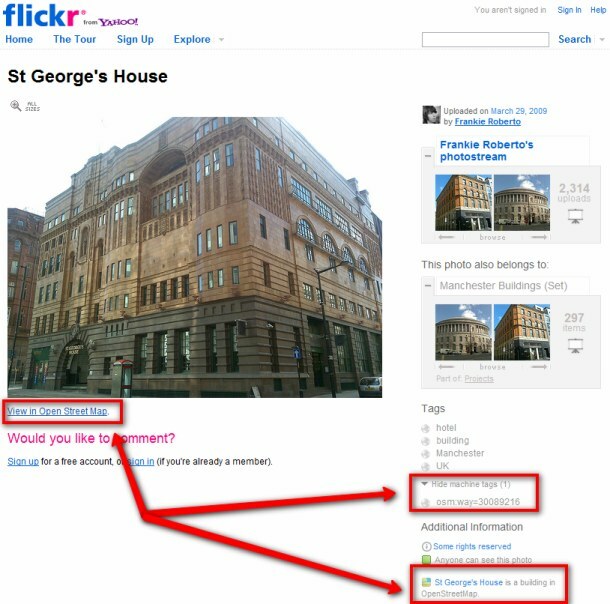 In addition, Flickr also announced that it’ll now support venue ID tags for the increasingly popular Foursquare service. Flickr currenlty only supports a small sub-set of all the tags that OSM currently supports, but as the Flickr team points out, OSM is still a moving target and it would be hard for Flickr to keep pace. After all, they still “have this little photo-sharing site to keep running,” noted.